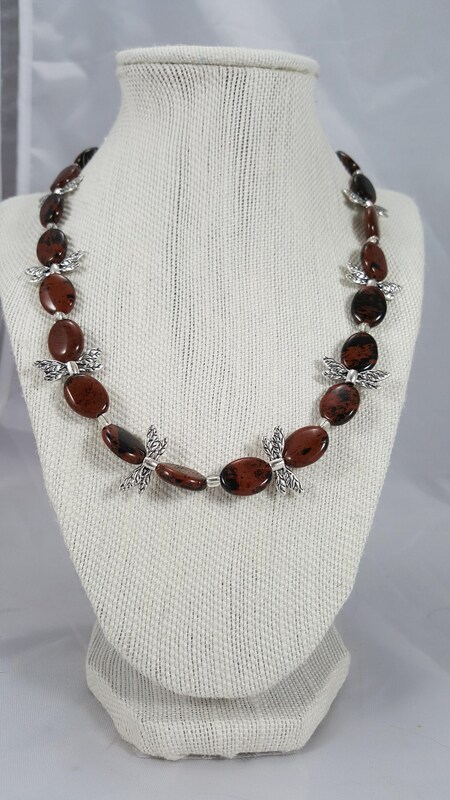 18 " Mahogany-Obsidian flat oval gem stones surround by metallic silver butterflies. The energies of Mahogany-Obsidian will connect to your base and sacral chakras. This will allow a cleansing and purification to take place so that you can release your negative patterns and energetic ‘implants’, as well as negative energies that are disrupting the flow of your creative energies. 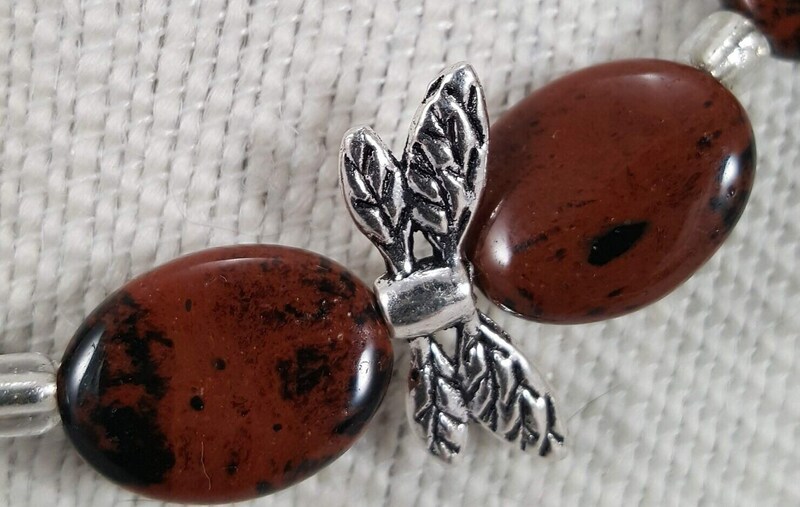 The protective energies of this stone will also shield you from any kind of negative psychic attacks. 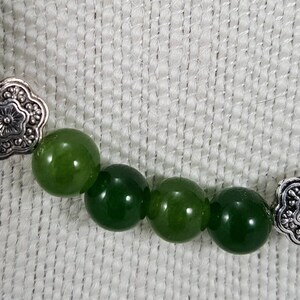 It will keep you safe and grounded, and it will help you attune to the protective energies of the stone anytime. 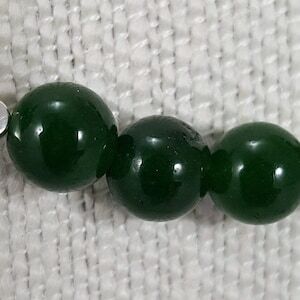 19" Emerald green Jade pearl necklace with silver hearts. 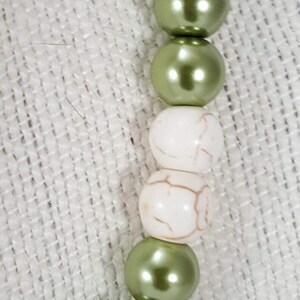 20" Emerald green Jade pearl necklace with metallic silver flowered beads. 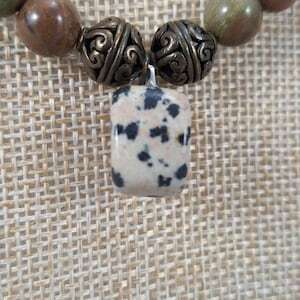 21" Jasper beaded necklace with 1" Dalmatian Stone. For Emotional harmony.